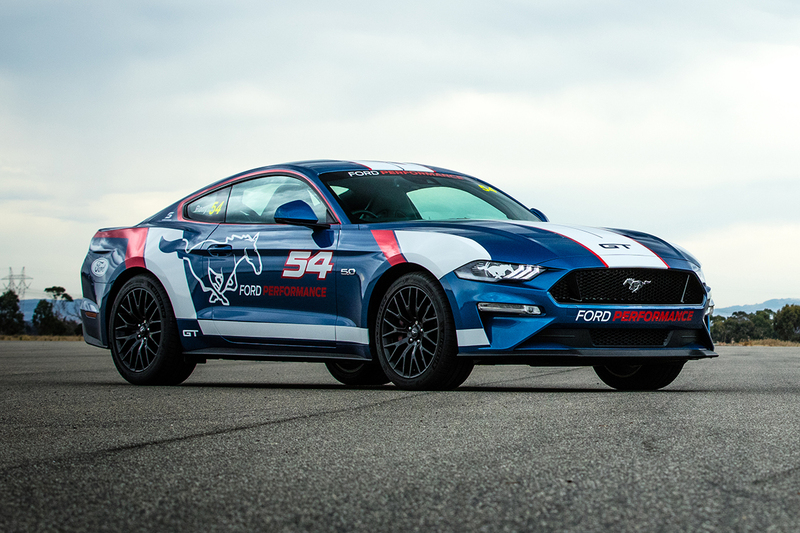 Ford Performance in the United States will provide key firepower for the development of the Mustang Supercar as part of the Blue Oval’s return to the category. Ford Australia announced in Melbourne this morning that it has given the green light for the Mustang to compete in Supercars from 2019. Initial work adapting the two-door body to the control Supercars chassis had already been done by DJR Team Penske and Tickford Racing while they pushed for approval. Ford’s support, however, will be more than just a sign-off, with its American racing arm working alongside the teams on the development program. Tickford team principal Tim Edwards explained that Ford Performance’s involvement will be directed by the chief engineers from the respective Supercars squads. “The two principal engineers are Nathaniel Osborne from Tickford Racing and Ludo [Lacroix] from DJR Team Penske,” he said. “They’re really setting the direction, but the grunt work, which I suppose is the best way to describe it, will be Ford Performance. DJR Team Penske managing director Ryan Story stressed there is a lot of work to do before a car hits the track, most likely towards the end of the year. “It’s fairly early days in terms of the design and development process,” he said. “We have a very good understanding fundamentally of how the car will fit over the Supercars control chassis. That’s about as far as we’ve gone so far. Speaking at the launch in Melbourne, Story was cautious when quizzed on a mooted demonstration for the car at the Supercheap Auto Bathurst 1000 in October. “It’s a bit too soon to comment on something like that yet,” he said.